Bio D have brought the rich, lively scent of Fresh Juniper to their much-loved Laundry Liquid for a match made in heaven. Below are reviews of Bio D Laundry Liquid with Fresh Juniper - 1 Litre by bodykind customers. If you have tried this product we'd love to hear what you think so please leave a review. Cleans clothes well, and does not contain chemicals to which my skin reacts. 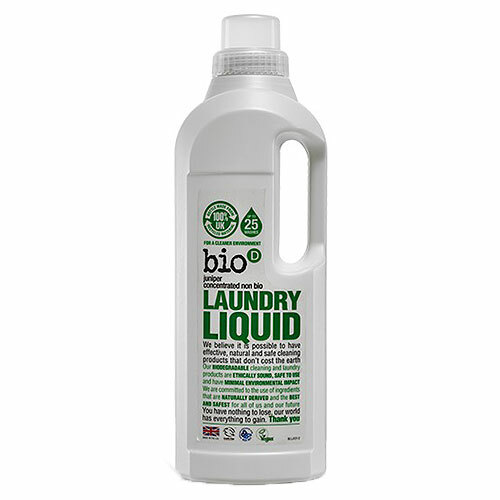 Smells nice, not overpowering, and seems to get the washing as clean as other environmentally friendly brands I have tried.